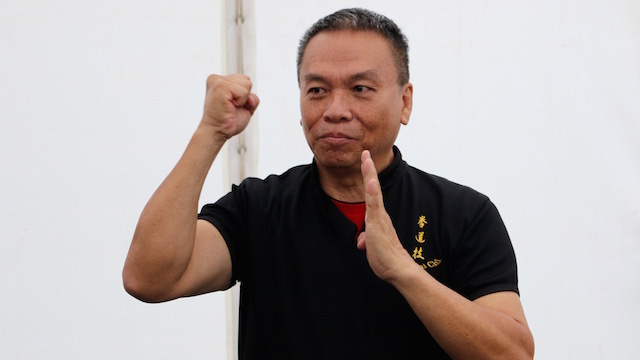 Master James Lau K King (刘恭庆) from Miri, Malaysia was so kind to give a in depth interview on his personal and Tai Chi life. He talks about his childhood how he met his teacher GM Huang Sheng Shyan in 1977. They had a very close relationship and Lau K King learned about 15 years from Huang. Huang’s system is not pure Tai Chi Chuan. There are influences from White Crane and Lohanquan. The essence of the Huang system can be found in the “5 Loosening Exercises“. In the year 2000 Lau K King taught his first workshop in La Spezia, Italy. He was invited by Tiziano Grandi. He taught in many Italian cities like Triest, Milan etc. 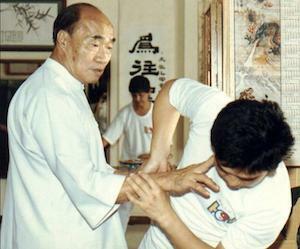 Then he taught in Germany at the International Push Hands Meeting, in Amsterdam, England, Scotland and later in USA, Korea and many other locations. In this playlist you will find more interviews, demonstrations of Push Hands, Bamen (8 powers) and some workshop scenes of the last 15 years. On our media site you will find some images taken during the 2nd Cheng Man Ching Forum 2004 in Hannover, Germany and the 21st Tai Chi Caledonia 2016 held in Stirling, Scotland. Just click on the image and you will be directed to our media subdomain.